At the narrow passage, there is no brother and no friend. Giving is the little secret of abundance. Love is the great solvent for all problems, all difficulties and all misunderstandings. Man cannot discover great oceans unless he has the courage to lose sight of the shore. You can only eat off one plate and sit in one chair. The Law of Love was written upon the rock of Right; Justice wrote the Law and Mercy. What’s good is often forgotten, what’s bad is often hidden. Where there is no discipline, there is no honor. Never laugh at the old when they offer counsel, often their words are indeed wise. A good seed, planted even in poor soil, will bear rich fruit by its own nature. Fire tests gold; adversity tests strong men. Kill the sin, love the sinner. A new broom sweeps clean, but the old brush knows all the corners. Do not speak of secrets in a field that is full of little hills. The pine stays green in winter…Wisdom in hardship. lost adrift in the difficulties of life. 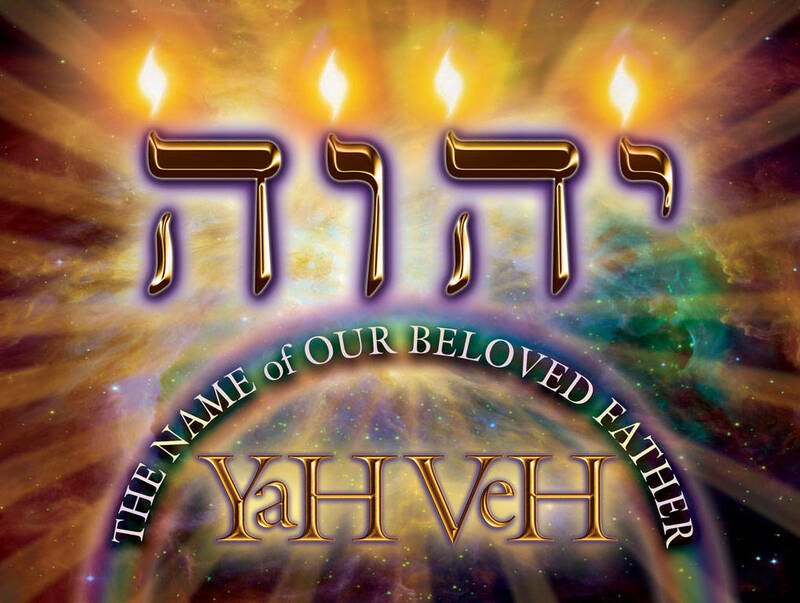 Our hearts must be right if Almighty God Yahweh is to bless. God, veiled in majesty, alone gives light and life to all; bids the great systems move, and changing seasons in their turns advance, unmoved, unchanged himself. Though a person maybe vile and wicked; always try to see that thread of one percent that is good. In all thy actions, think God sees thee; and in all his actions labor to see him. A man who hides behind the hypocrite is smaller than the hypocrite. The most terrible of lies is not that which is uttered but that which is lived. One may smile and smile and be a villain still. Four things are grievously empty: a head without brains, a wit without judgment, a heart without honesty, and a purse without money. When all sins are old in us and go upon crutches, covetousness does but then lie in her cradle. Idleness travels very slowly, and poverty soon overtakes her. Master your rage or else it’ll enslave you. Pray for discernment; it’ll guide you to do the right thing in whatever circumstances. Envy no one, curse none and praise everyone; blessings will rain from down from the heavens. Knowledge is easily gained while Wisdom is hard to earned. Where were faith, without trial to test it; or patience, with nothing to bear; or experience, without tribulation to develop it? Sin pulverizes a believer’s comfort and isolates him in land of self pity. There’s a seed of truth in every lie concocted; persist in uncovering. Prosperity of a man comes from deep within his heart. A person who does not know right from wrong even after he had stolen from or sinned against anyone; his soul is even more pitiable than the Devil. Sometimes one needs to eat the blame to hide one’s shame. One is NOT born with a Temper but unfortunately cultivated and sadly being regenerated over and over again. Avoid as much as possible hating your friend for a slight fault. Contentment … comes at no cost. When you are in doubt; be still and wait; when doubt no longer exists for you, then forward with courage! One fears what one does not know nor understand, thus Fear is an invisible stumbling block. The more you amass gold and money, the less secure you’ll feel. When families fall out, relationships sour into useless formality. Learn to bow and you’ll stand up in your full height. The person who always insists on his only way of seeing things can never learn from anyone. One who walks the godly way never resorts to violence. If you know what you already have is enough, you’ll be content and satisfied. Kingdoms rise, Kingdoms fall but God judges fairly on all. An old adage, “you reap what you sow”; walk righteous Godly path and life’s aglow. All things come to him who knows how to trust God and be silent. Great health is God’s blessing of love on us; don’t think success and profit is. Ignorance is bliss but an unexamined life is not worth living. Break free from whatever holds you back. Good character is more to be praised than outstanding talent. Most talents are, to some extent, a gift. Good character, by contrast, is not given to us. We have to build it, piece by piece — by thought, choice, courage, and determination. Forgiveness is a contract between the offender and the offended; one must offer an apology from the heart and the other to accept the offering with full forgiveness. Be the Salt of Grace to everyone you meet in the journey of Life. Walk the way of Yeshua/Jesus, emulate him and in difficult and sorrowful days, you may walk on water. Washing our hands is the rhythm of tango of our left and right hands thus harmony in the world is begotten with the instruction from the Bible that we love one another. It’s sinful to waste time on worrying on things that have yet to happen. Decisions and steps that you take in times of your greatest trial can be your greatest triumph. Do not poison yourself slowly with bitterness and resentments. Those who are full of their own opinions will be deaf to words of wisdom from others. Seeking truths of life while not applying what was learnt into real life would bring no benefit at all to the lifetime. Be like a flower that gives fragrance, even to the hand that crushes it. Nature has all the answers, so what is your question? When a man suffers from delusions he is described as mad but when a million do so they belong to a world religion. There is nothing more dangerous than a philosopher who wants to change the world. The Lord God Almighty Yahweh/Jehovah will fight for you while you keep silent. If God be for us, who can be against us? Greater is He that is in us than he that is in the world. A Bible that is Falling Apart, usually reveals a Life that isn’t. Only from the heart, can you touch the sky. I am the hole on the flute that Gods breath flows through. Much depends upon the words we speak – death and life may be found in the power of the tongue. In the ears of a fool do not speak for he will scorn the wisdom of your words. Lighting a lantern for a blind person is a waste of kerosene. When the mouth is open it should be shut upon something solid – what goes in is not important, what comes out is. Listen to the Still Small Voice within ……….. He who does evil to others, does it so to himself. No matter how tall a tree grows, its leaves always fall to the ground. Sun is for cucumbers, rain for rice. One who harvests in the sun eats in the shade. Life’s is the best gift from God, the rest are the extras. Liar’s candle will last till evening. A silent mouth never did any harm. Truth speaks by the toddler’s mouth. Eat to see the bowl, go to see the way. Don’t spurn cold rice; hunger helps you eat even food that has gone bad. The beauty of a wife is her character not her appearance. Long road is not without a corner. Taste by taste empties the honey jar. Don’t let the cat guard the cream. ‘Gratitude’ is that life owes us nothing and all the good that we have is a gift. One who draws water at the river shouldn’t curse the crocodile. Better to lose with a wise man than to win with a fool. Those who have one foot in the canoe, and one foot in the boat are going to fall into the river. God did not create woman from man’s head, that he should command her, nor from his feet, that she should be his slave, but rather from his side, that she should be near his heart. One knoweth the truest love of a friend when winter comes. Gratitude, like gymnastics, is an acquired skill. One needs to develop gratitude muscle. Everything good thing that we have or own is actually a loan from God. When you make a vow to God, remember to keep the vow when the trial has passed. Every word and action we fling out comes back full circle; it’s the boomerang effect. Spiritual receptivity is a necessary requirement when seeking God’s Presence. Farm when its sunny; read when it rains. Trials and Tribulations are given by Almighty God and Father to refine our character. Two most Toxic companions for our Soul; namely Jealousy and Envy. Touch black paint, have black fingers. Pass the torch of Faith and girdle of Strength to another though thou have no blessings for the time being; it’s test of truest of character. Great doubts, deep wisdom. Small doubts, little wisdom. Always find out what is allowed. Marriage is the key of death to romance. If Heaven made someone, earth shall find some use for them. Nice words won’t come from a bad source. Never speak harsh words for they will rebound upon you; Angry words hurt and the hurt rebounds. Pure water comes from the head of the fountain. Before telling secrets on the road, look in the bushes. Who has butter on his head must keep out of the sun. A well taught heart listens readily. A splendid thing is the obedience from an obedient son. True words aren’t eloquent; eloquent words aren’t true. Wise men don’t need to prove their point; men who need to prove their point aren’t wise. Your worst enemy cannot harm you as much as you own thoughts, unguarded. If you can’t improve on silence; don’t speak. Rudeness is a weak man’s imitation of strength. Do not make friends with that have flexible conscience. A fool who knows he is a fool is much wiser than the fool who thinks he is wise; which is really foolish indeed. May your dagger be a wooden one, if only your heart is of iron. Neither fire nor wind, birth nor death, can ever erase our good deeds. You too, shall pass away; Knowing this, how can You quarrel and hate? Look to your own faults, what you have done or left undone. Overlook the faults of others. The wind cannot move nor shake the mountain; neither praise nor blame moves the wise man. In good men knowledge casts out pride, but in others it leads to arrogance. As dust is thrown against the wind; Mischief is blown back to the face of the fool who wrongs the pure and harmless. If you wound and grieve another; you have not learned detachment. Righteous anger is justified over foolish outburst. God’s love is like the rolling river that goes on and on if you seek it in all earnest. Hollowness of our worship according to the world’s programmed methodology can never satisfy the real longing and burning desire inside our hearts for the love of God. Spiritual nourishment comes from the emptying of ourselves; namely our pride and vanity of self. Heavy loads of Pride and Labor of Self-Love are burdens upon the heart, mind and soul. One who goes unrecognized and isn’t annoyed; isn’t that a noble person? To see what is right and not do it, is want of courage. Knowledge overcomes ignorance as sunlight darkness. No joy in heart: No smile on face. Know contentment and you’ll suffer no disgrace; Know when to stop and you’ll meet with no danger. Meditate on your own defects, not that of others. The cruel are feared even by the wise. Advice given to the stupid produces anger. A stone in the shoe, a bug in the ear, a speck of dust in the eye, a thorn in the foot, and a quarrel in the family; however small in themselves, are unspeakably tormenting upon the soul. You may know a man’s face but not his mind be it good or evil thoughts. Only God sees the mind of a man. Do not be afraid of tomorrow; for God is already there. When a man bows; Heaven forgives. The labor of self-love is such a full load of burden and the pursuit of esteem and praise from the world is not worth the effort. It is fitting that a liar should be a man with good memory. A silent mouth at appropriate time is sweet music to the ears. Empty thyself and you’ll seek the sought after peace that is only found in God. One must lose ego and pride so that one can really speak honesty from the heart. One should not confuse oneself with self-aggrandizement of self-righteousness and being righteous in a noble and humble way. Distance tests the endurance of a horse; time reveals a man’s character. Sweet are the slumbers of a virtuous man. A name is to be chosen rather than abundant riches; favor is better than even silver and gold. An unclean kingdom is filthier than a great swamp. When surrounded by chaos, find peace within. A person who passes his days without donations and enjoyments is like a blacksmith’s bellows, he breathes but does not live. If you cannot see with your heart, you cannot see at all. Empty in the heart, lovely in the mouth. Irrigators direct the water, Fletchers fashion the shaft, Carpenters bend the wood and Wise Ones control themselves. When God measures a man, He puts the tape around his heart. A thankful heart is possible only through humility. God looks not to the quantity of the gift but to the quality of the giver. Prime feature of a wise person is that he comprehends quickly and hears patiently.